Whether you are new to homeschooling or you have a few years under your belt, it’s important to remain flexible in your homeschool. We’ve found that even the best curriculum for your family at the time, may not cover all that you need. Children’s needs and life seasons change, sometimes within a school year. When we are flexible, we can find ways to customize our child’s education. I am not one to be able to give up the feeling of books in hand entirely and we try to promote healthy amounts media in our home. I have found, when done intentionally, we can use technology to enhance our homeschool and teach our children to make good media choices. Here are 3 Ways it can benefit you too! We have all types of learners in our family. The Kinesthetic Learner, The Auditory Learner, and Visual Learners. It has made a HUGE difference in our homeschool when we learned which they were and found resources to help. Explore some curriculum ideas here and activity ideas for your Kinesthetic Learner here. For our Auditory Learner, we love Epic! Online Reading Library. They are offering Kids a Summer Full of Reading and Exploration with Unlimited Access to 25,000 Books for $1 (Hurry offer ends 6/12)! And for our Visual Learners, we love to incorporate video. With Pure Flix you can have access to thousands of documentaries and videos on Bible, history, animals, government and much more! You can grab a month FREE to explore and the bonus is it’s great for family movie night as well! Sign up for some free homeschool resources here to help get you started! It’s a great blessing to be able to homeschool our children. It also works much better for us when we can combine as many subjects as possible. By using technology to enhance our homeschooling, we can dive in deeper for the older ones or find a video, audiobook or resource that will be more suitable for the younger ages in our family. 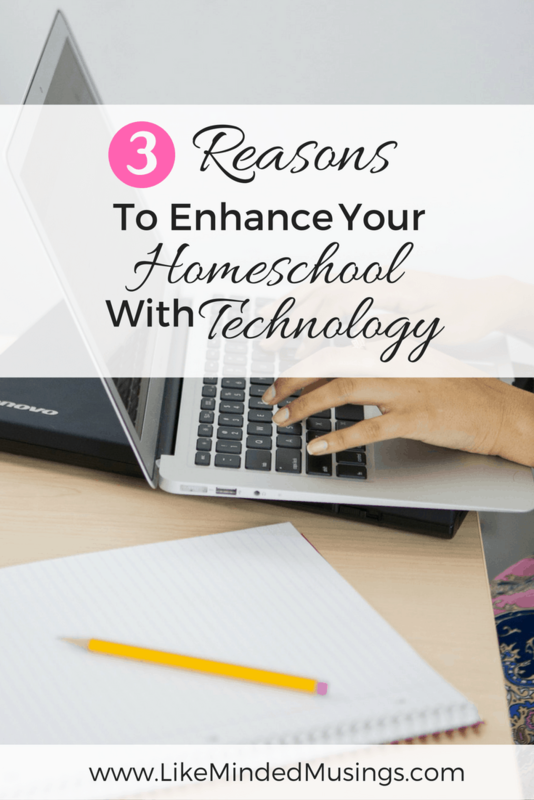 Find Out 3 Reasons To Enhance Your Homeschool With Technology! This is one of my favorite ways to use technology wisely in our homeschool. We could never buy or find a curriculum that would teach to all 5 of our children’s interests! We can use technology to supplement and dig into those subjects that may not be included. Plus if your children are like mine, they can be interested in something new every week! Finding a curriculum that we love and being flexible by using technology to enhance our homeschooling has made a huge difference in our experience and children’s education! Check out this helpful infographic below courtesy of Pure Flix. Share these ideas with your friends and make sure pin for later! Have you given technology in your homeschool a try? Let me know in the comments below! Previous Post: « Thank You! 30 Days of Tween Parenting Encouragement Blog Party! We use technology as a reward for a good week of hard studying. There are games and apps aplenty to re-enforce a topic or even test something’s. And I absolutely LOVE YouTube for teaching with songs and demonstrations! Yes! I love your idea of using it as a reward 🙂 Thanks so much for sharing!